(Q) Is the curtain washable? Sure, you can wash it in the washer. 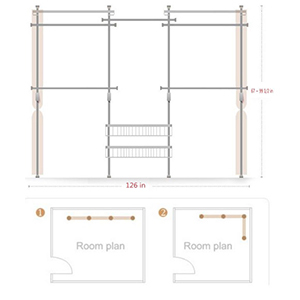 (Q) Is the wire shelf strong enough? The Spring loading system tightly locks at both ends. 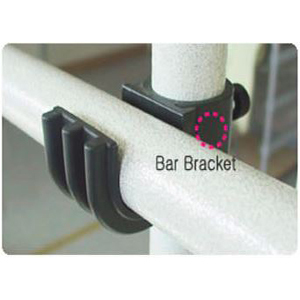 The pole has a one-touch adjustable device to assemble parts easy and simple. Curtain is made of 100% of polyester for easy care. 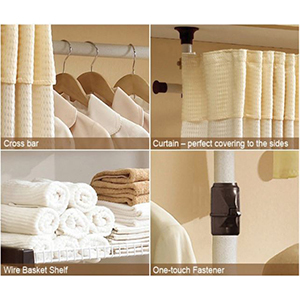 Curtains easily slide, and help to neatly keep your clothes. 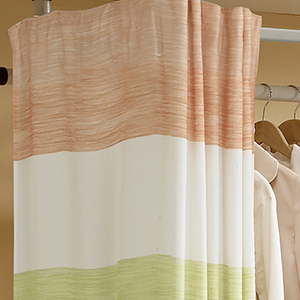 Upgrade curtain color - Orange & Green Stripe.